Virtual Gastric Band of New England is Myra Durkin, MSW, LICSW and Erika Slater, CH, two prominent therapists in the field of hypnosis in New England. Both Myra and Erika have been trained and certified to conduct Sheila Granger’s Virtual Gastric Band program in New England. 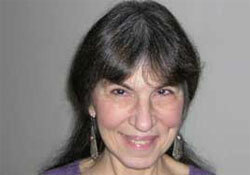 Shelia Granger herself conducted the training and certification in New York city. Myra and Erika both have successful private practices and combined to conduct an independently verified Virtual Gastric Band study in Massachusetts. Myra is a clinical social worker with over 25 years of experience working with adolescents and adults, and is also certified in clinical hypnosis and has been practicing it for over 15 years. Myra uses a combination of psychodynamic, cognitive-behavioral, interpersonal, relaxation therapy, mindfulness techniques, and self-hypnosis. Myra specializes in a variety of issues, including stress/anxiety, depression, relationship concerns, pain, eating disorders/problems, self-esteem problems, chronic illness, smoking/habit cessation, and more. Myra founded the Mind/Body Department at the Longy School of Music, Cambridge, MA where she teaches these techniques to individuals and in groups. Myra is also a consultant to universities and conservatories on performance enhancement. Myra is located in Somerville, MA and serves the Boston area. Erika is a Certified Hypnotist and has been in private practice since 2004. Erika received her training and certification from the National Guild of Hypnotists – NGH. 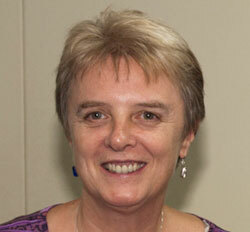 She is a Master Practitioner of NLP and is currently completing her certification in the Accelerated Change TemplateTM. Erika specializes in smoking cessation and weight loss using a combination of direct suggestion and regression hypnosis therapies. She also works with athletes for sport performance issues and delivers self esteem and confidence workshops. Erika has written 2 eBooks and has had over 30 articles published on health and hypnosis related topics. Erika is located in North Grafton, MA and serves the Worcester and metro-west Boston, MA area.